Learning Pool gained this recognition for their continued success and exponential growth in the Learning Management System market. The company boasts unrivalled implementation of the system, as recent gold winner of ‘Best LMS Implementation’ with soft drinks company AG Barr at the prestigious Learning Technology awards earlier this year. “The secret to our continued success is that we make sure our customers are at the centre of everything we do. We strive to continually delight clients, helping them to use Totara’s technology to improve their business and prove a healthy return on investment." 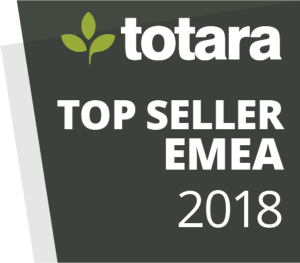 We’ve already been awarded Totara’s Top Global Partner for three consecutive years, so this new award is a welcome string to our bow. We’re thrilled with this endorsement and with a dedicated team full of energy, this trend is set to continue, with all of our LMS customers just upgraded to version 11 of Totara Learn. Totara Learn is an open source, enterprise level Learning Management System designed specifically for the needs of workplace training in the corporate sector. Each year, the organisation recognises their partners with several key awards, and Learning Pool has been particularly commended for their influence in the growth of the project with an impressive reach in a variety of sectors. "Since we launched the awards in 2014, Learning Pool has featured prominently every year. The company has a deep understanding of learning & development and how Totara can be deployed to meet and exceed expectations of organisations. This award is well-deserved and congratulations to the team who do a great job in providing Totara to so many organisations across the globe." The company will be presented with the award at Totara partner meeting in London, 12 February 2019. Learning Pool is exhibiting at Learning Technologies 13/14 February 2019, on stand M10. The team will be showcasing the latest in transformative learning solutions, including their new Learner Experience Platform (LxP) , AI, gamification, Totara Learn, Adapt Learning and more.